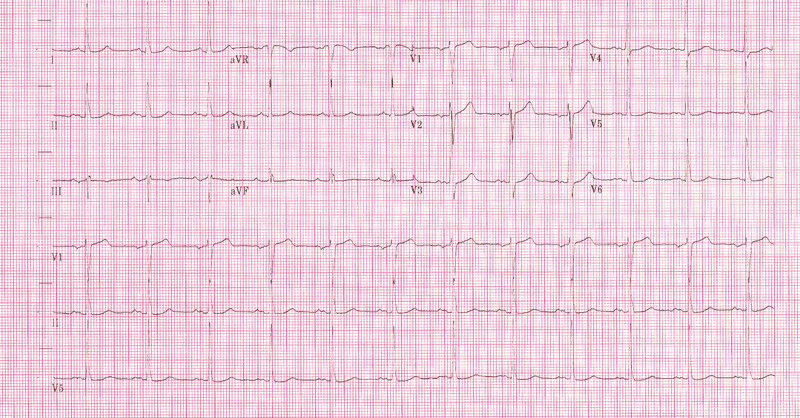 A 50-year-old male with a history of hypertension (HTN) and atrial fibrillation (AF) presents to the Emergency Department with complaint of palpitations, which started while mowing the lawn. He is alert and oriented with a Glasgow Coma Scale (GCS) of 15 and no signs of Hypoperfusion. The patient is compliant with his medications and denies any allergies. A 12 Lead ECG is recorded. 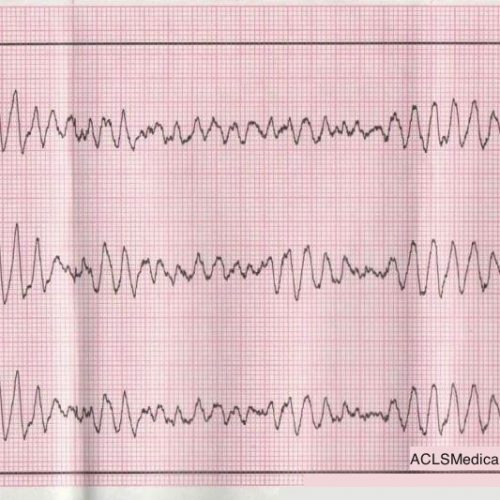 Atrial fibrillation with rapid ventricular response (RVR) and generalized ST-segment depression indicative of subendocardial ischemia. The patient was treated with 20 mg of diltiazem (Cardizem) over 2 min, followed by 10 mg over 1 hr, and 0.25 mg digoxin (Lanoxin). 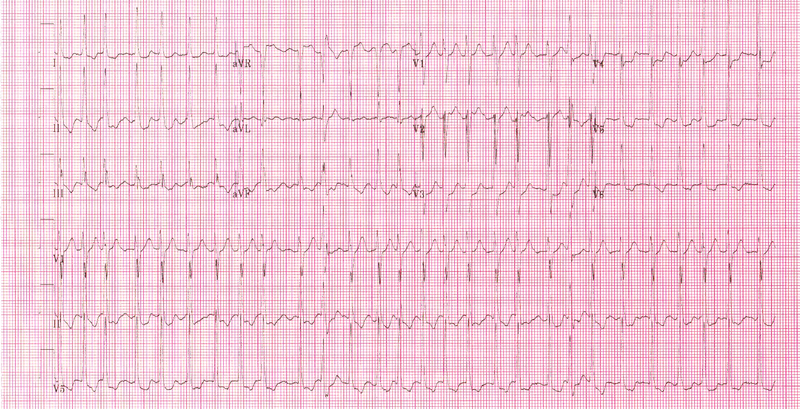 A rhythm change was noted on the monitor and another 12-lead ECG was recorded. There is a sinus rhythm with left ventricular hypertrophy by limb lead voltage criteria and left atrial enlargement. There are no signs of subendocardial ischemia, suggesting the ST-segment depression was rate-related. The patient was now asymptomatic and admitted for observation without further incident. Diltiazem (Cardizem) is a Class IV antiarrhythmic and one of the most common pharmacological agents used for treatment of AF with RVR. These CCBs can be easily identified by the last four letters of the generic name ending with “pine”. DHP CCBs are more selective to peripheral vasculature than cardiac cells, leading to arterial smooth muscle relaxation and decreased Systemic Vascular Resistance (SVR), thus, decreasing afterload and Myocardial Oxygen Demand (MVO2). Because of this peripheral calcium channel selectivity, they are commonly used for treatment of Hypertension and angina. Their hemodynamic effects can be associated with adverse effects such as hypotension and reflex tachycardia secondary to sympathetic stimulation as a compensatory mechanism for the decreased cardiac output. These CCBs are those which generic name does not end with “pine”. 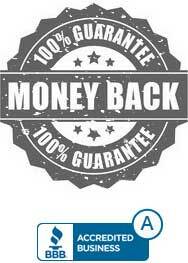 Can be further divided into benzothiazepines (not to be confused with benzodiazepines) and phenylalkylamines. Non-dihydropyridine CCBs are more selective to L-Type Calcium Channels in cardiac cells, such as the Sino Atrial Node (SAN) and Atrio Ventricular Node (AVN), although all CCBs cause peripheral vasodilation. 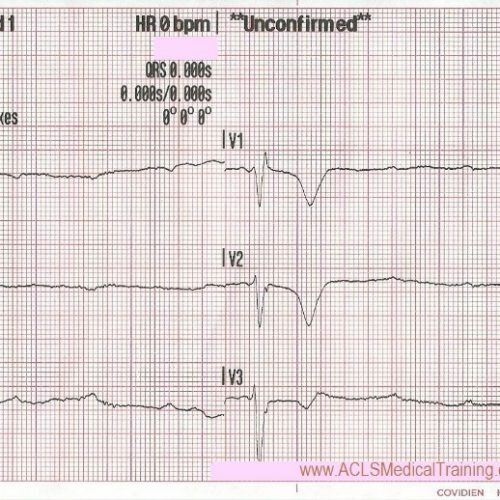 This Calcium Channel antagonism leads to decreased SAN chronotropic effect and decreased AVN conduction, making it useful for treatment of atrial arrhythmias such as AF, Atrial Flutter and Supra-ventricular Tachycardias (SVTs). There are four specific classes of antiarrhythmics with specific physiological functions divided into classes based on their mechanism of action. The rest of the pharmacological agents used as antiarrhythmics fall under the fifth class with different mechanisms of action from the previous classes. One important aspect to understand is that although they are all antiarrhythmics, each class works under different mechanisms and therefore may have different effects on cardiac cells. Some target atrial, AV nodal or ventricular cells, while some have the capacity to address both atrial and ventricular arrhythmias. Diltiazem has a COR I, LOE-b classification, used for rate control of atrial arrhythmias, predominantly Atrial Fibrillation, and COR IIa, LOE-b for treatment of SVT with a reentry pathway mechanism. 2015 ACC/AHA/HRS Guideline for the Management of Adult Patients With Supraventricular Tachycardia: Executive Summary: A Report of the American College of Cardiology/American Heart Association Task Force on Clinical Practice Guidelines and the Heart Rhythm Society. J Am Coll Cardiol. 2015 Sep 16. pii: S0735-1097(15)06203-8. doi: 10.1016/j.jacc.2015.09.019. Diltiazem should be avoided in the presence of pre-excited AF with RVR, that is, AF in the presence of accessory pathway, i.e. 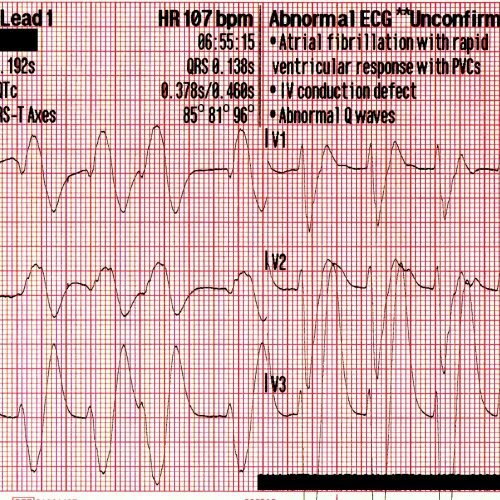 Wolff Parkinson White (WPW) syndrome, as AVN blockage can lead to increased conduction through the accessory pathway, leading to life-threatening rapid ventricular rates. Procainamide and Ibutilide are the preferred treatment of pre-excited AF with RVR and hemodynamically stable patients. Diltiazem can be used in patients with AF and Heart Failure (HF) but with caution in reduced Left Ventricular Ejection Fraction and hypotension. Although dosages may vary based on physician orders, protocols and age, a standard initial dose is 0.25 mg/kg, ranging between 10-20 mg over 2 minutes, with a second dose of 0.35 mg/kg, ranging between 20-25 mg over 2 minutes, often followed by a 5-10 mg/hr infusion. Treatment of hemodynamically unstable patients in narrow QRS complex AF with RVR requires synchronized cardioversion at 120-200 J initially, and should not be delayed for administration of an anti-arrhythmic agent. Diltiazem is a Class IV, non-dihydropyridine CCB anti-arrhythmic, serving as the most common pharmacological agent used for the treatment of AF and SVTs, for patients that are hemodynamically stable. 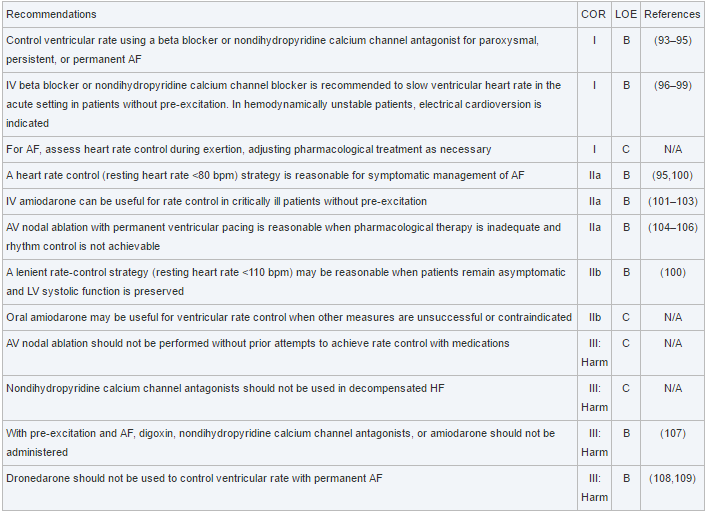 Caution should be used with CCBs and HF with decreased EF and hypotension. Electrical Cardioversion should not be delayed for treatment with an anti-arrhythmic agent in the presence of Hypoperfusion and hemodynamically unstable patients. 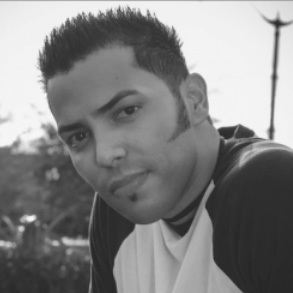 Ivan J Rios is Associate Editor of ACLSMedicalTraining.com (@ACLSMedTraining) and a cardiology and electrophysiology enthusiast. Ivan is a Critical Care Paramedic in Orlando, Florida.